When I finished Bull's Eye, I wanted to try my hand at something longer, something that would give me a bit more room to develop my characters. In the process, I learned a lot about midwifery and got to write about some of my favourite books. 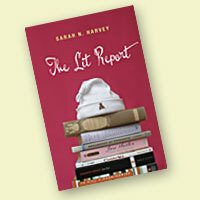 The Lit Report is a finalist for the Bolen Children's Book Prize.